It’s FREEZING outside, literally freezing!!! If you don’t believe me, take a look at the pictures below! 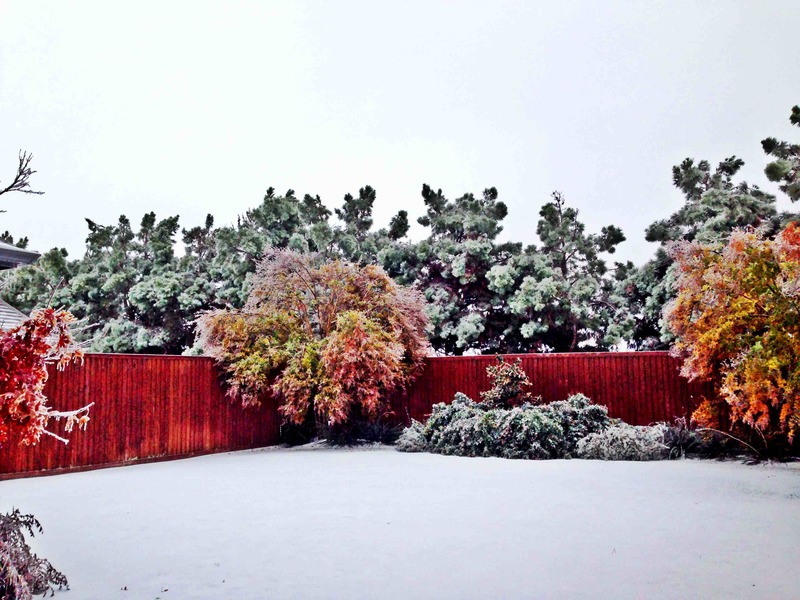 Dallas got hit with a winter storm on Thursday night. 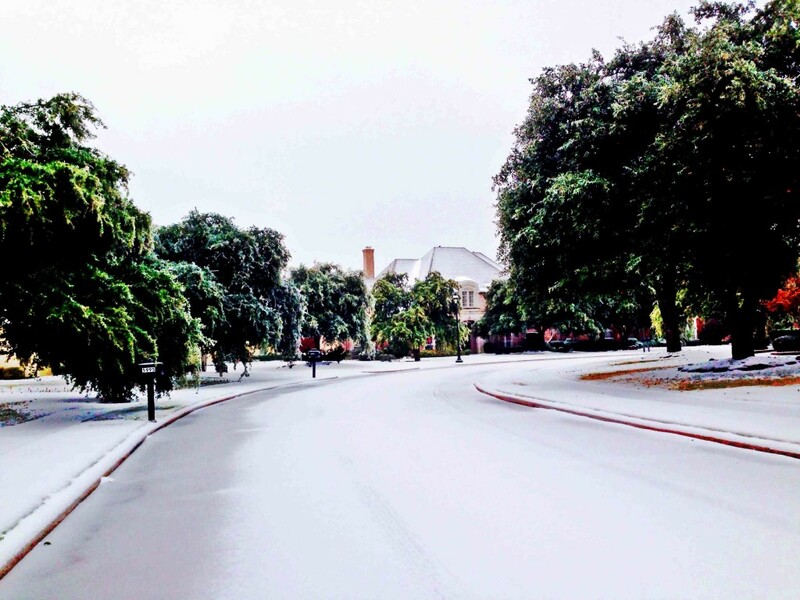 As crazy Texas weather can be, it went from 80 degrees at 3 pm on Thursday to 32 degrees just 12 hours later! We’ve been stuck inside since Friday, but it’s actually been kind of fun. Just make sure you have food! I stocked up earlier this week so we’ve had chili in a biscuit bowl, Hebrew National hot dogs, chicken enchiladas, pb&js, and coffee by the fire. Yum! 2 inches of solid ice! We’re stuck in the neighborhood for the next few days! The crape myrtles are drooping just a little, as is our rose bush and the pine trees, but isn’t it pretty? Take a look at the ice I’m talking about below. Two inches of solid ice!! We tried to get out of our house today, but our car got stuck in the alley way and so we had to park it on the street since we can’t get it back in the garage. Oh well, let’ just hope a tree limb doesn’t fall on it! 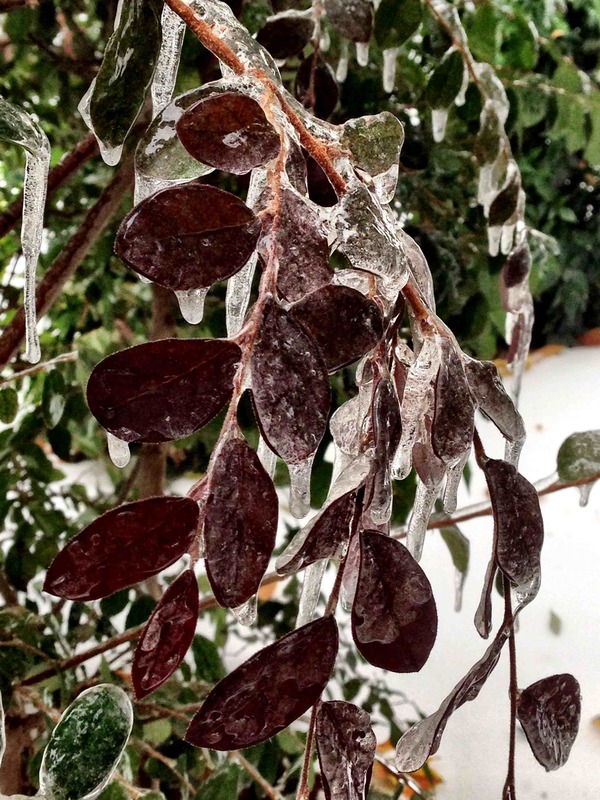 The leaves on the bushes are frozen over! 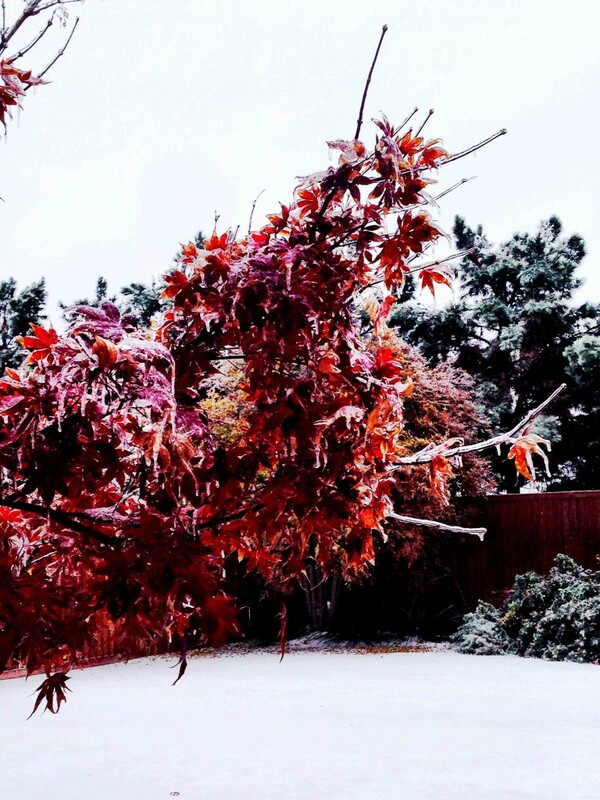 Frozen Japanese maple tree…. that can’t be good! 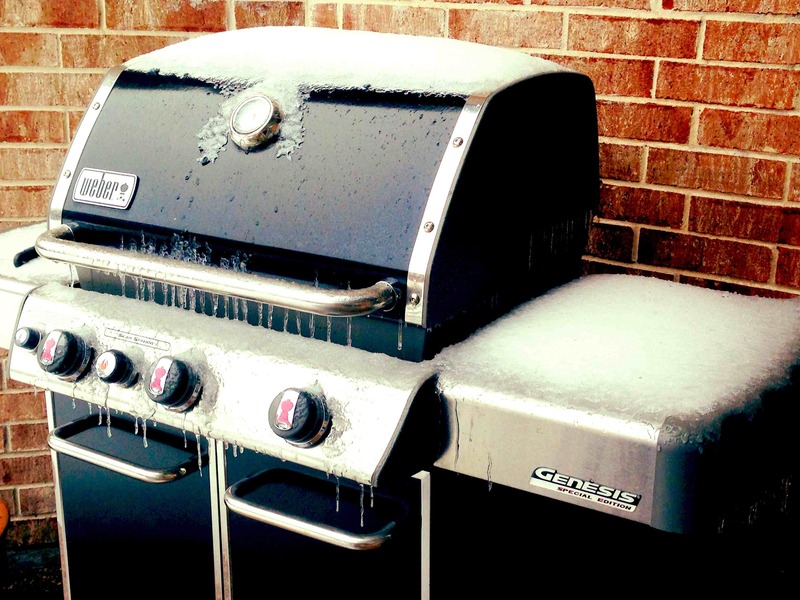 Maybe I should grill and melt off some of that ice! Since there is nothing to do other than watch Netflix, blog, cook and work on the computer, Matt and I had to get a little fresh air. Our “neighborhood electric vehicle” came in handy! Since we don’t have a car or truck that’s all-wheel drive, this saved our life! Okay, not really…but if we run out of groceries, we’re taking it to Kroger to stock back up! 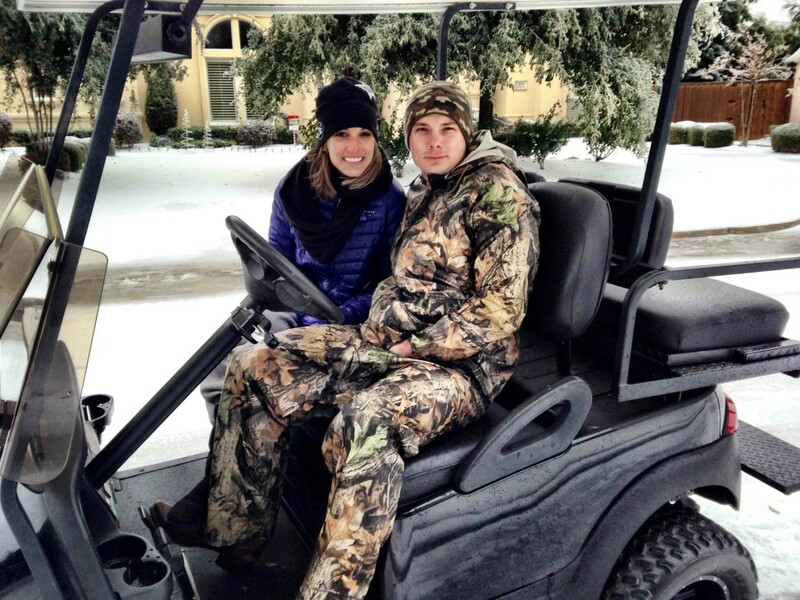 Matt looks like he’s part of Duck Dynasty with all that camo! As mentioned, there’s nothing else we can do inside except watch TV and cook. 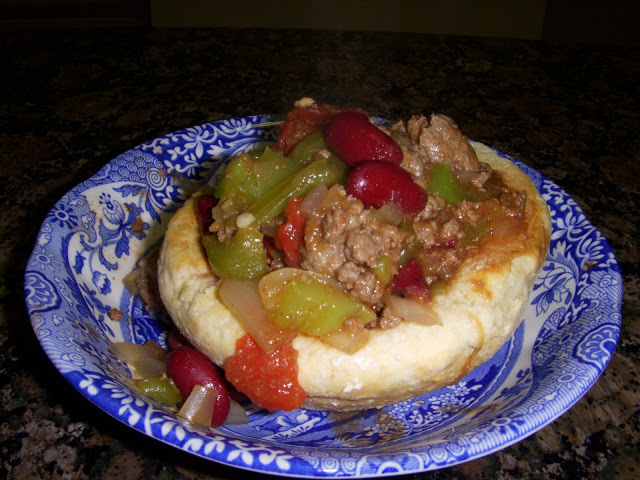 Last night I made chili in a biscuit bowl, sans the biscuit bowl. Matt’s not a huge biscuit person, and requested crackers instead. He’s crazy… who doesn’t like biscuits??? 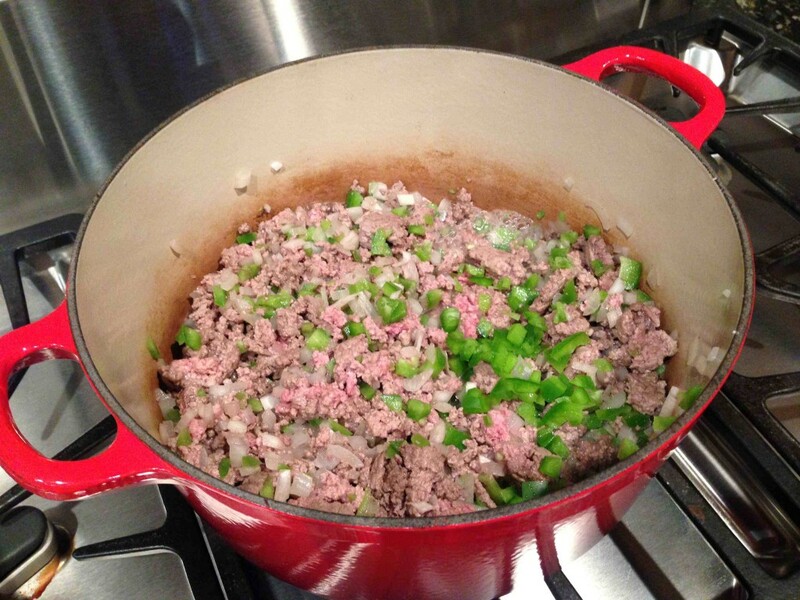 Brown your beef, onion and bell pepper in a large dutch oven. Stir in the Rotel, kidney beans and chili powder and simmer for 35 minutes. If you’re making the biscuit bowls, 15 minutes before serving, prepare the dough and place on inverted muffin pan sprayed with nonstick cooking spray. Bake for 10 minutes. 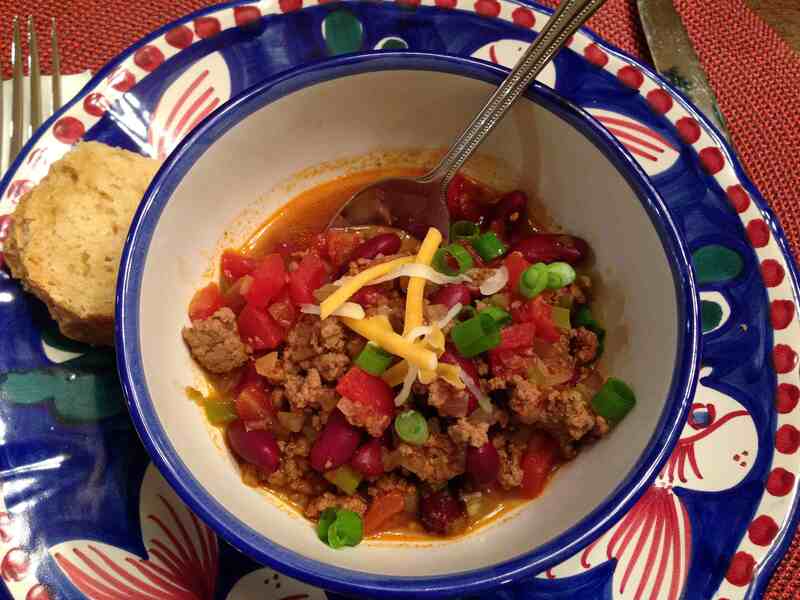 Serve chili over a warm biscuit bowl. We’ve got an outstanding beer bread recipe that goes perfectly with chili!! Plus, the bread is super easy. Click HERE for the recipe. Chili also goes well with beer bread! Top with sliced green onions and cheddar cheese as well. 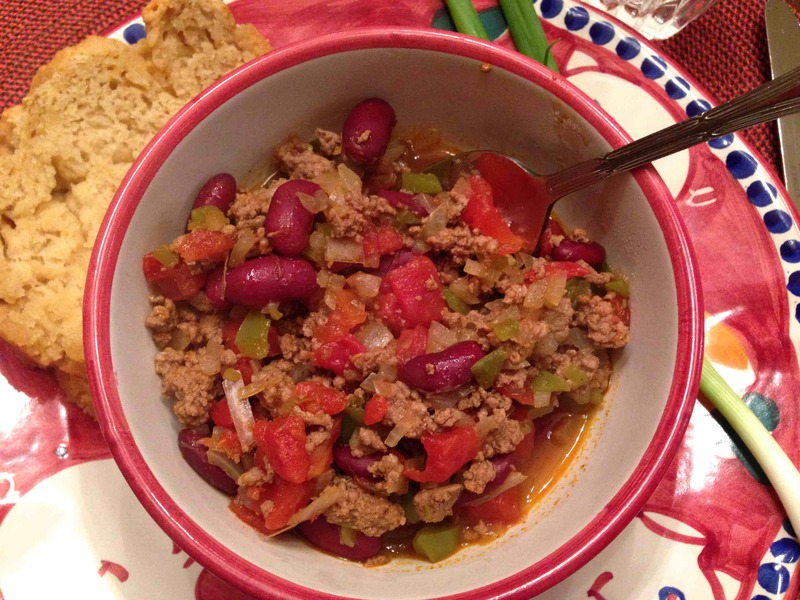 This chili doesn’t get any easier, so enjoy, especially if you’re iced or snowed in like we are at the moment. FOR THE CHILI: Cook beef, onion, and bell pepper in a dutch oven over medium heat until meat crumbles and is no longer pink; drain. Stir in Rotel, beans and chili powder. 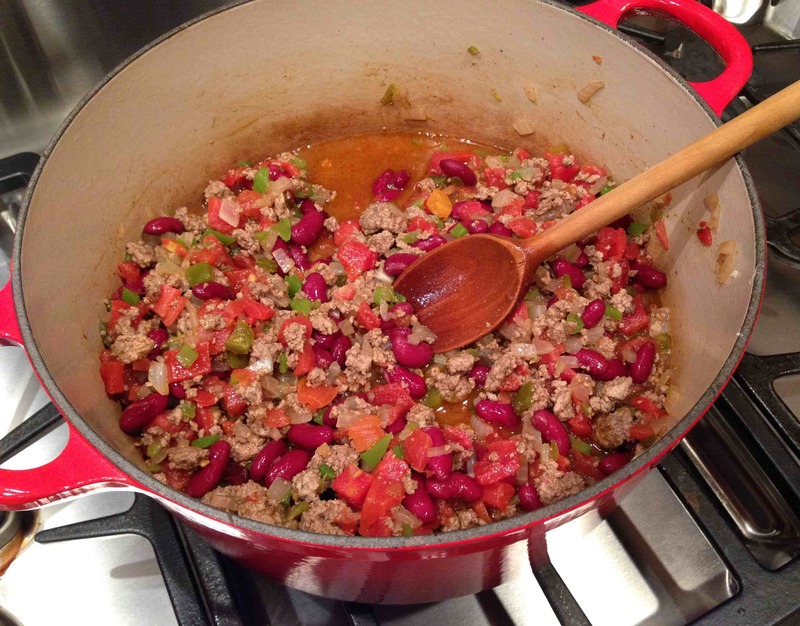 Bring beef mixture to a boil; cover, reduce heat, and simmer 35 minutes. Spoon into biscuit bowls and serve with desired toppings. FOR THE BISCUIT BOWLS: Stir together biscuit mix, milk and red pepper. 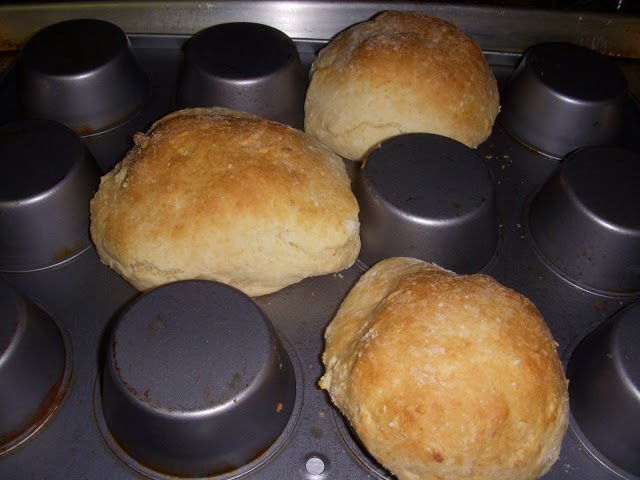 Turn dough onto a surface sprinkled with biscuit mix. Shape into a ball, knead 3-4 times. Divide into 6 portions. Bake at 450 degrees for 10-12 minutes. Cool slightly; remove biscuit bowls to a wire rack. One Response to "Chili in a Biscuit Bowl and Dallas Ice Storm"